Book for 2 nights and get 3rd night free at The Tower House! 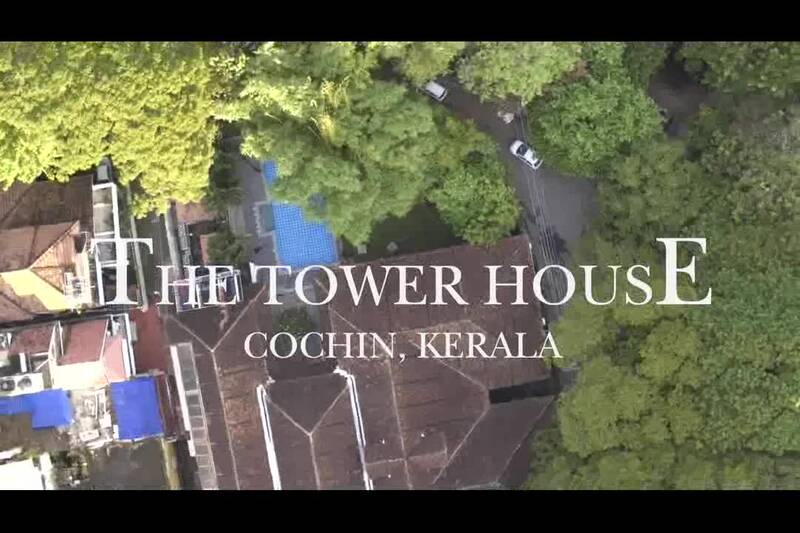 The Tower House, marking the spot of a 17th-century lighthouse, is one of the few Kochi Hotels that sits facing the Chinese fishing nets. The scallop-walled twin-house looks rather like a ship and is a great option if you are looking for something unique, closer to the budget hotels in Cochin rather than just a homestay in Cochin. The revitalization of this 17th-century building to one of the heritage hotels in Fort Kochi by Neemrana involved adherence to the values of being honest to the time we live in while respecting the past. Not many hotels in Kochi would offer a chance to discover the old world charm where, sailors, travelers, traders, planters feasted and danced under chandeliers, suspended from high wooden ceilings. Only a few heritage hotels offer rates closer to the budget hotels in Cochin and the same warmth of a homestay in Cochin. One stay here, at our Cochin hotel, will get you started on the discovery of one of the best heritage hotels in Kochi city and the Neemrana brand in India.